(Washington D.C. - Sept. 4, 2008) From lawn mowers and weed trimmers, to personal watercraft and speedboats, gas-powered engines will soon contribute to healthier and cleaner air for Americans. The Environmental Protection Agency (EPA) has set strict new standards for gas-powered lawn equipment and marine engines, enhancing public health by substantially reducing the amount of gas fumes, carbon monoxide, hydrocarbons and smog-forming pollutants emitted from a wide range of engines. The regulations will take effect in 2010 and 2011. To meet the new exhaust emission standards, manufacturers will likely employ catalytic converters for the first time in many small watercraft and lawn and garden equipment. After rigorous analysis and work with stakeholders, EPA determined this strategy was feasible and safe. This regulation also includes the first national standards for boats powered by stern-drive or inboard engines, and carbon monoxide standards for gasoline-powered engines used in recreational watercraft. Non-road gasoline-powered engines, such as those used in lawn and garden equipment, will see an additional 35 percent reduction in smog-forming hydrocarbon (HC) and NOx emissions. These cuts go beyond the 60 percent reduction that saw final implementation two years ago under an earlier rulemaking. The updated engines will also achieve a 45 percent reduction in fuel evaporative emissions. Recreational watercraft powered by gasoline engines will incur a 70 percent reduction in HC and NOx emissions, a 20 percent reduction in CO and a 70 percent reduction in fuel evaporative emissions. Each year, Americans spend more than 3 billion hours using lawn and garden equipment and more than 500 million hours in recreational boating. As a result, the total estimated public health benefits range between $1.6 and $4.4 billion by 2030. These benefits outweigh estimated costs by at least eight to one, while preventing over 300 premature deaths, 1,700 hospitalizations, and 23,000 lost workdays annually. The rule opens another chapter in EPA's success story of curbing emissions from non-road sources. 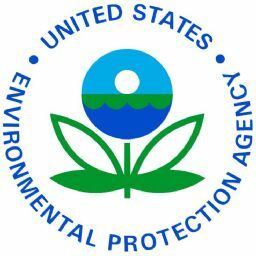 EPA has recently set stringent emission standards for farm and construction equipment, off-road recreational vehicles, and for locomotives and commercial marine sources.